There are some challenges for those visiting South America from North America and Europe. Some of them are: altitude sickness, food and water safety, and climate conditions. This post is focused on the first health challenge. As a person who has lived most of her life in Ecuador, who has travelled and met people from all over the world visiting South America, I can say that we Latin-Americans are not as prone to sicknesses related to food. Due to all bacteria found around, despite how clean we eat. Unfortunately, this is not at all the case for foreigners visiting the continent from abroad, or for those living abroad and coming seldom back to South America for a visit. There is a wide range of food available in South America, due to the large size of this part of the continent, the geography and good weather in the countries around the equator. 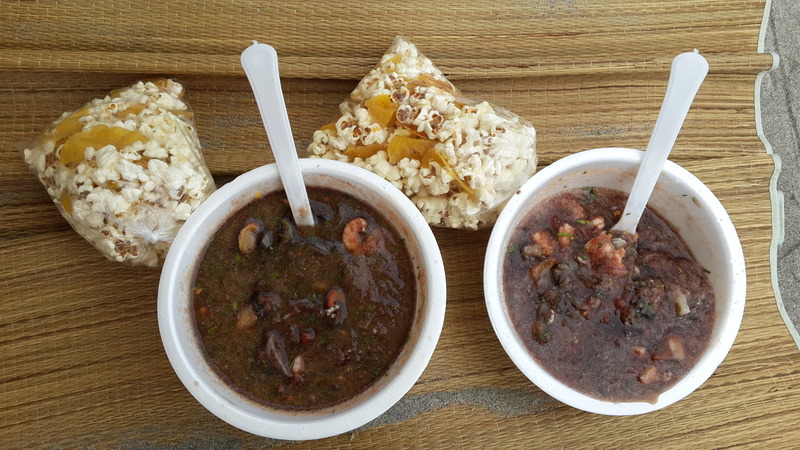 The gastronomical experiences abound and as a tourist it is obvious to want to enjoy some of the local food! I know how exciting it is to taste all the different flavours that make each place so special whenever we travel abroad. The main concern for us when we have foreigners visiting South America is that they may get traveler’s diarrhea, often referred to as Montezuma’s revenge. (read more) – A very funny name, if you know a bit about the history of Mexico. Without further ado, here are some health tips to follow during your visit to South America. 1) Do not drink tap water. 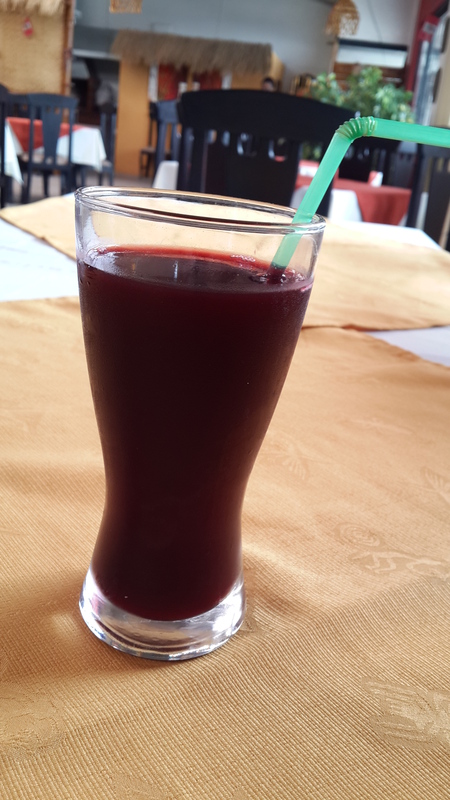 Chicha Morada, a beverage made of ears of purple maize. I have worked in the travel industry many years, and the top tip we always gave all tourists was regarding water. In addition, being married to a Norwegian who got pretty sick whenever he was tempted with some soda from a machine or a glass of fresh juice makes me consider this the most important tip. Avoid the tasty fresh made juices in public places, ice cubes, ice cream made with water. 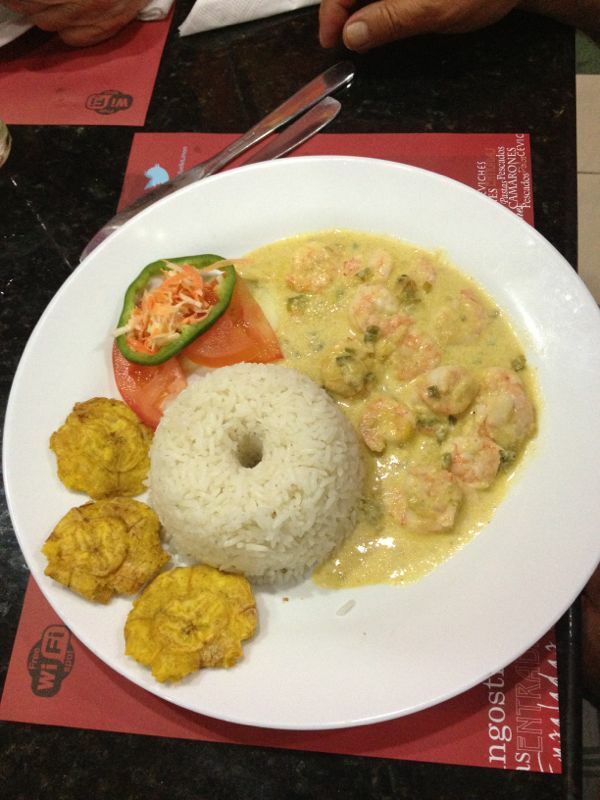 Unless of course, you are getting this food at a good hotel, a touristic place or a big restaurant. Always buy bottled water and if you really want to taste some exotic fruit juice then ask if possible that they make it with that water. In addition, if you want to drink coke, always buy it in a bottle. I will also recommend getting a Lifestraw personal water filter, which will allow you to drink any water any time, and be safe! Choose all food that is cooked and boiled when it comes to salads. Fruits and vegetables you can peel yourself are always the safest option! In this case all food is cooked except for the salad. Do not eat it if you are not at a really good restaurant, 5 stars hotel, etc. This is the famous ceviche, or cold soup that you find in different forms around South America. You may want to taste it if it is homemade by people who have made it with boiled or bottled water. The risk of getting non-pasteurized dairy products increases the further out in the countryside you are. Most big cities have big grocery stores, with pasteurized carton milk, yoghurt and cheese products. Solution: Buy your own carton milk at the “tienda” or local grocery store. Most places have UHT carton boxes that will even stand changes in weather, which means that you do not need to have them in a fridge until open. Last but not least, remember to wash your hands before you eat. Of course this is not a tip per se, just a general traveler’s rule. You can see a private or public doctore rather easily in most of South America. Furthermore your consulate can give you more information, you can get help from your hotel, the tourist information office and the pharmacy. Share any funny anecdotes you have, or any additional tips to stay healthy while travelling in South America. I really need this. I’m getting too sick of the weather in Sao Paulo! I think what I am eating is affecting how my body adapts to the weather.